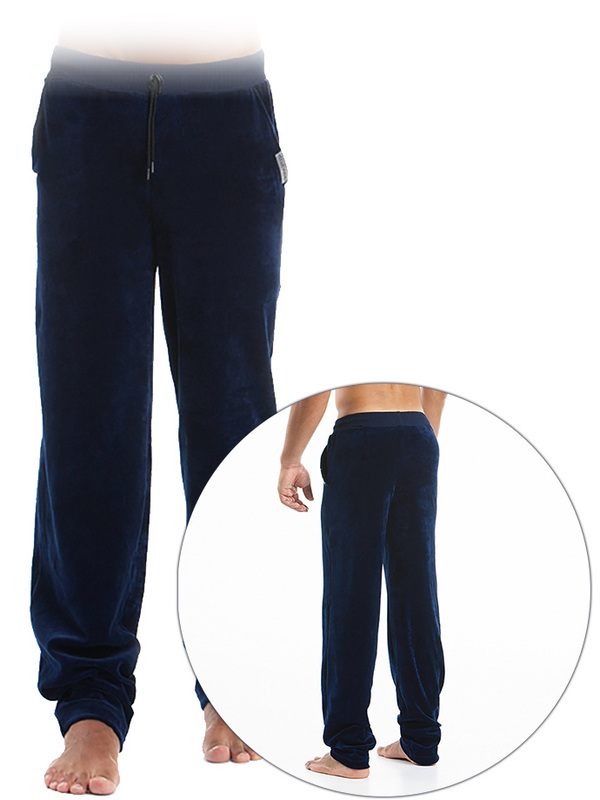 Modus Vivendi Wolf Lounge Pants in Blue features flattering, straight cut fit with side chino pockets. These pants are in a very elegant style and will keep you warm, too. Soft to the touch top quality Italian velvet fabric! The design features Modus Vivendi signature elasticated waistband, which has cotton cords ending in metal aglets to adjust the fit to your waist.